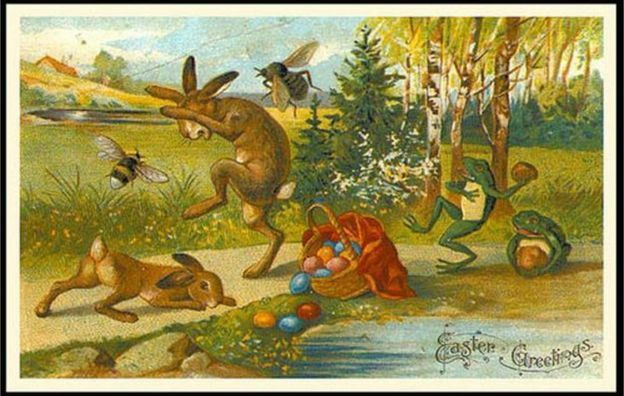 Easter was a festival that was especially loved by Anne Brontë. As the daughter of a Church Of England priest, you would have expected all of the Brontë sisters to have been devout Christians, yet Charlotte’s writing often hints at a questioning of her faith, and Emily developed a faith of her very own, an almost mystical belief where she saw the power of God through the beauty of nature. Their brother Branwell, once the organist at the parish church, stopped attending altogether as his addictions took hold, although he rediscovered his faith on his death bed. Anne Brontë, however, found her faith strengthening throughout her life, and turned to it to help her through the losses and tragedies she faced. Anne it was who was almost fanatically devoted to the church, and so she would have been enraptured by the Easter triduum: the Maundy Thursday service that replayed the Last Supper, the silent mourning of Good Friday, and then at last the joyful celebration of Easter Sunday. 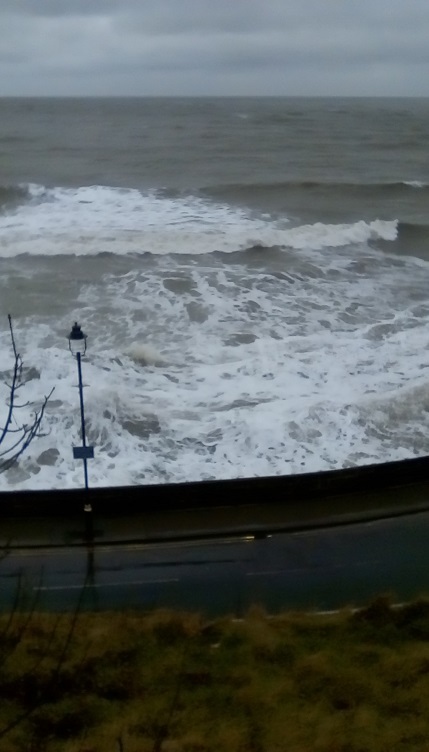 Scarborough’s roaring waves this week. My soul is awakened my spirit is soaring… reading this. Thank you for bringing this ?? A beautiful poem. You can imagine the scene. You can almost feel the wind in your face, hear the crashing waves and seabirds and smell the sea air. Wonderful. Bravo Anne. I’m coming to Yorkshire soon…like a return as my female lineage belongs there. I lived in Whitby as a child and often walked down to the sea, and sometimes a family trip to Scarborough too. I can still hear the haunting cry of seagulls and that roar of wave upon wave crashing and dissolving in the sand. Most appreciate your picture and description that re-birthed these memories, thank you. Thanks Zanna! Scarborough is a town I love very much, I’m sure you’ll enjoy re-visiting it.